You may occasionally stumble on the term “brachycephalic” when hearing discussions about dogs. 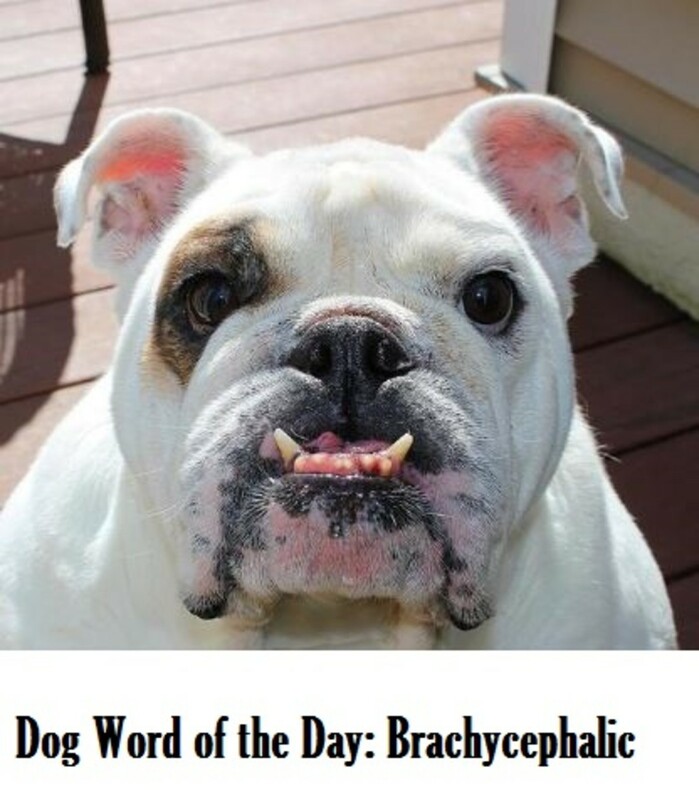 Learning more about this term is important because brachycephalic dogs are prone to certain medical conditions so if you ever own a brachycephalic dog or have one in your care, special attention is needed. By tinkering with genetics, the practice of selective breeding has generated a vast array of dogs of different shapes and sizes. Brachycephalic dogs have a distinctive shape of the skull which can be appealing to people, but it comes with several serious drawbacks. In a past post, we talked about dogs with dolicocephalic features, which is the total opposite of brachycephalic. The term brachycephalic is therefore used to depict dogs who feature a short and wide skull and a distinctive pushed-in face. There are several brachycephalic dog breeds such as boxers, pugs, English bulldogs, French bulldogs, Cavalier King Charles spaniels, Pekingese, Boston terriers, Pomeranians and shih-tzu. The looks of these dog breeds are often cherished due to their neonatal traits. A concerning trend is the widespread practice of breeding dogs with more and more extreme brachycephalic traits which has caused a host of significant problems. Dogs suffer from this syndrome to varying degrees. First off, the nostrils reduced to tiny slits predispose them to what is known as “stenotic nares,” which makes it difficult for them to push air through their nostrils either because of the small openings or the fact that they tend to collapse inwards during inhalation. Then, comes the elongated soft palate, which is what causes them to snore, snort, gag and have trouble breathing since their long soft palates protrude into the airway interfering with the movement of air into the lungs. Some dogs even have quite narrow windpipes, which leads to hypoplastic trachea, while everted laryngeal saccules, which are soft tissue masses, can cause respiratory problems since they can be pulled into the dog’s windpipe. Several of these conditions can be corrected through surgery. Small nostrils can be widened, excess tissue from the soft palate can be removed and so can laryngeal saccules. Did you know? According to the American College of Veterinary Surgeons, many dogs suffering from an elongated soft palate develop a preference for sleeping on their backs for the simple fact that this position likely causes the tissue to fall away from the larynx. On top of their respiratory problems, several dogs with smushed-in faces are prone to developing eye problems. Because their eyes bulge so much and their eye sockets are shallow, dogs with these eyes are more prone to trauma and the eyes can even pop out of their socket, a condition known as exophthalmos, often seen in pugs and Boston terriers. In some dogs, the eyelids may not be closing properly which can also lead to eye problems down the road. Enclosed in a small space, the teeth of brachycephalic dogs are often crowded and the lower jaw is longer than the upper jaw which predisposes these dogs to malocclusions and the formation of plaque. Not to mention skin problems due to the skin folds in the face which provide the ideal environment for bacteria and yeast. If these dogs need to undergo surgery, special precautions are needed when undergoing anesthesia. According to board-certified veterinary surgeon Harry W. Boothe, anesthesia in brachycephalic dogs requires meticulous preanesthetic preparation and attention to detail both during and after anesthesia. The physical features of brachycephalic dogs makes them prone to several problems that impact their daily lives. These dogs may overheat easily and develop trouble breathing when stressed, which is why many airlines have implemented embargo rules that do not allow these breeds to travel in the cargo compartment. The brachycephalic features make it difficult for these affected dogs to effectively cool down by panting which predisposes them to heat stroke. 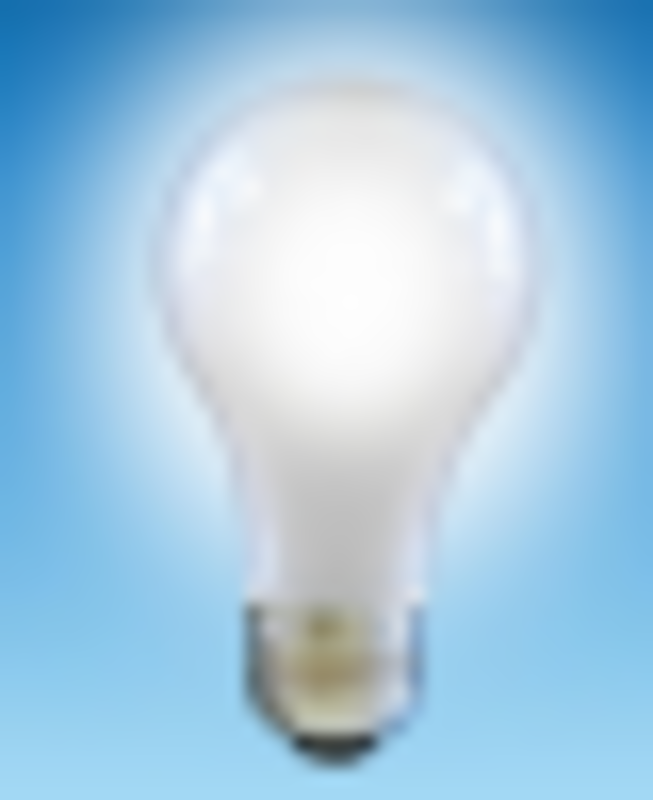 Too much exercise may also cause respiratory problems. Many brachycephalic dogs appear to be suffering from respiratory problems, but owners often dismiss them as being normal for the breed. 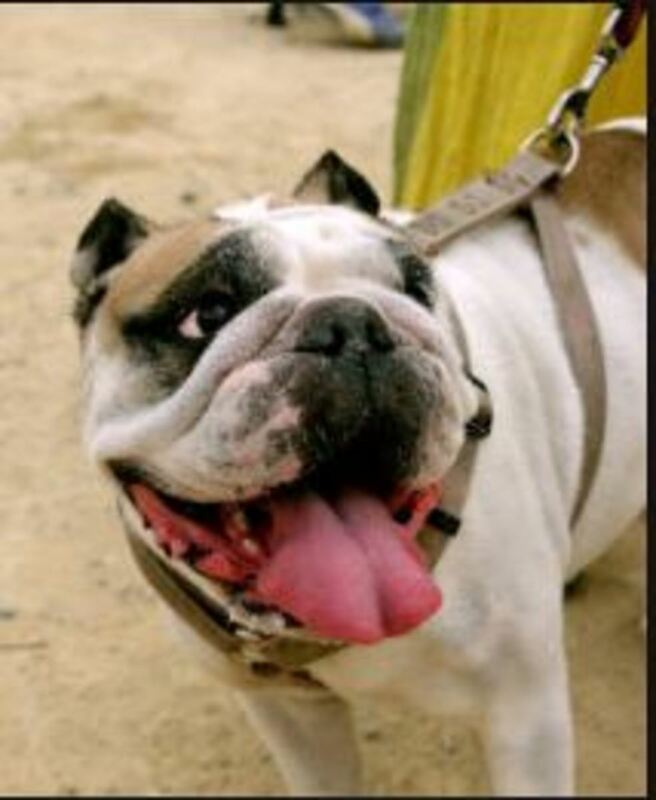 According to research conducted by the Royal Veterinary College, 58 percent of surveyed owners stated that their brachycephalic dogs were not having trouble breathing despite over two thirds of them showing signs of respiratory issues during exercise. These respiratory difficulties prevent several brachycephalic dogs from enjoying all the simple pleasures of a dog’s life such as exercise, play, food and sleep, further points out the Royal Veterinary College at University of London. Because of the anatomical features of brachycephalic dogs, these dogs should wear a chest harness (all dogs really benefit from one!). Collars put pressure on their trachea and even on their eyes if they pull enough. When exercising these dogs, it’s important keeping an eye that they don’t overheat or exercise too much. Short, slow walks are ideal avoiding the warm and humid peak hours of the day. Keeping brachycephalic dogs fit and trim is important as obese dogs tend to have much more serious respiratory difficulties. Owners should also be informed that the wrong types of muzzle can be dangerous in brachycephalic dogs since they rely a lot on open mouth breathing. Last but not least, keeping these dogs’ life as stress-free as possible in important considering that stress can exacerbate their problems.